RTI Managing Director, Dr Andrew Russell, presents a joint paper with NS Leecentrum at RSSB's 2017 Human Factors conference on the introduction of Non-Technical Skills(NTS). RTI complete an RBTNA and training validation for Abellio Scot Rail train drivers for the introduction of HSTs. RTI extend their offering to include Plant Assessment, Working at Heights, First Aid and Orange Card PTS. RTI complete a review of operational training standards for a major TOC. RTI facilitate a workshop reviewing the process for engineering staff attending fatalities. RTI complete a Risk-Based Training Needs Analysis (RBTNA) for platform dispatch and review current training provision against the RBTNA. RTI support Hitachi Rail Europe in the delivery of IEP engineering training delivery. RTI complete an RBTNA for Depot Drivers for Hitachi Rail Europe. RTI provide competence assessor support for Lucchini Unipart Rail. RTI deliver risk assessment training to Engineering staff. SNC Lavelin complete an independent review of RTI's training methodology for IEP and conclude that RTI's quality approach goes beyond the requirements of current industry best practice. RTI work collaboratively with NS Opleidingen trainers to develop Non-Technical Skills (NTS) training content for train drivers. RTI will be sponsoring the Third UIC World Training Congress in Lisbon. RTI complete Risk-Based Training Needs Analysis for Southeastern Railway for the role of Shunter Driver. 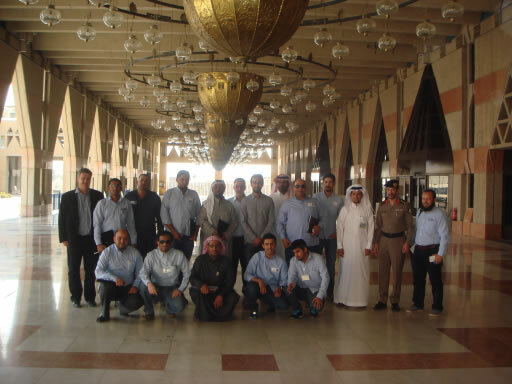 As a result of RTI efforts in GCC countries with its local partner SACOR (www.iracademy.net), RTI delivers track engineering training to Saudi Rail Organisation (SRO) and Al-Mobty track engineers in Riyadh. 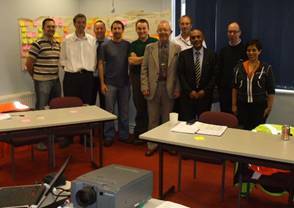 RTI complete Risk-Based Training Needs Analysis for Southeastern Railway Train Drivers and the London Bridge re-signalling project. RTI are selected by Southern Railway to provide rolling stock training delivery support. RTI have been selected by the Rail Safety Standards Board (RSSB) to develop the new European Driver License course (Project T1016)..
RTI are selected by Hitachi Rail (Europe) to design and deliver the full range of Operations Train-the-Trainer courses to support the introduction of the Intercity Express Programme (IEP) rolling stock. RTI launch a new training course in Incident Management and Accident Investigation for Southeastern Railway engineering staff. RTI launch a new ‘courtroom scenario’ training intervention, in collaboration with Bon Solon http://www.bondsolon.com/ to train railway managers in their legal obligations under UK Health and Safety law. RTI provide a Training Needs Analysis (TNA) to support the winning Thameslink Southern and Great Northern (TSGN) franchise bid. RTI provide Risk Assessment training to Arriva Trains Wales station managers. RTI are selected by Hitachi Rail (Europe) to provide the Operational Training Needs Analysis for the new Intercity Express Programme (IEP) rolling stock. RTI Managing Director Dr. Andrew Russell will be delivering a joint paper with the International Railway Academy (KSA) on the new build railway training academy project at the Mena Rail and Metro Summit in Abu Dhabi on Tuesday 29th October. Following a competitive tender, RTI are awarded the contract to conduct the Operational Training Needs Analysis for the Inter-City Express Project (IEP). Following a competitive tender, RTI are awarded the contract for Phase 5 (design of training materials) for the RSSB Project T1016 Train Driver Training Review. RTI are awarded the contract by Bombardier Transportation to conduct the Operational Training Needs Analysis for the Automatic Train Control upgrade to the London Underground Sub-Surface Railway. RTI Managing Director Dr. Andrew Russell delivers a joint paper with First Great Western on Train Driver Non-Technical Skills to the World Rail Training Congress in St. Polten. Dr. Andrew Russell presents a joint paper with First Great Western at the fourth International Rail Human Factors conference on the introduction of Non-Technical Skills into a train driver competence management system. RTI are awarded a contract by Network Rail for training Network Rail Signallers on the GSM-R Fixed Terminals. RTI are nominated for a training award by Network Rail for their support to the GSMR project. RTI T&RS trainers are signed-off by Network Rail to deliver GSM-R training to rolling stock and Yellow Plant maintainers. RTI confirm a collaboration with the Saudi Company for Railway Services (Sacor) to build a new railway training academy in Riyadh (Kingdom of Saudi Arabia). RTI produce T&RS modules for First Great Western's HST fleet (Class 43). RTI are named as the preferred bidder by Southeastern for the OJEC Notice tender for the provision of Class 465 and Class 375 stock training courses (Lot 2). RTI launch their new TOLO/SIO course for a major UK TOC, gaining excellent feedback from course participants. RTI Managing Director Dr. Andrew Russell will be co-ordinating the UIC project "Trainer Development" which seeks to identify "good practice" in the development of railway trainer competence across the industry. RTI are selected by a major UK TOC to provide the City and Guilds 6317 Assessor Qualification to their Operational Competence Assessors. RTI will be providing the strategic training support for the new build Bucharest Airport link. RTI are contracted to support the maintenance of Network Rail's GSM-R simulators with our partner Corys TESS and acquire additional office facilities in Ashford, Kent. RTI to provide Risk Assessment training for Engineering managers. Dr. Andrew Russell (Managing Director) appointed to be Chief Training Expert for Hanoi Suburban Railway (Line 2). 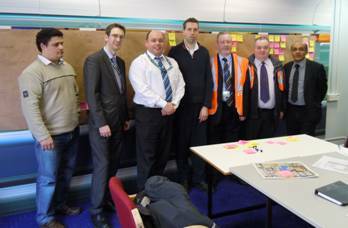 RTI facilitate process improvements team looking at the Fleet Refresh process in Southern's Selhurst Depot. 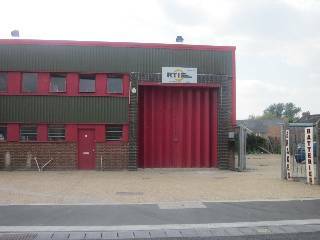 RTI are contracted to support the maintenance of Network Rail's GSM-R simulators and acquire additional office facilities in Ashford, Kent. RTI supporting RSSB in the development of the "Operational Concept" project. RTI deliver a two day training course on assessing train driver Non-Technical Skills for First Great Western Competence Assessors. RTI acquire residential accommodation in the Bristol area to increase flexibility of delivery to our expanding local client base in the West Country / Wales area. Lauren Cooper re-joins RTI as a Traction & Rolling Stock consultant from Bombardier Transportation. RTI successfully delivers the first in a series Driver Instructor Development Programme courses for First Great Western, which includes specific focus on train driver Non-Technical Skills. The Programme is part of a suite of training interventions supporting First Great Western’s strategy to develop Non-Technical Skills in the train driver role. RTI facilitate Southern Railway’s Stewart’s Lane depot team in process mapping their depot maintenance plan. RTI deliver the first of a suite of Traction Fault Finding courses for Class 465/ 466 and SETRA introduction courses for Electrostar stock, for Southeastern train maintenance staff. RTI deliver the new City and Guilds 6317 assessing qualification to Chiltern Railways depot staff. 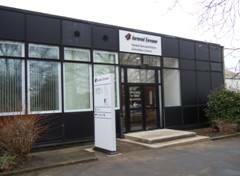 RTI attend the official opening of Iarnrod Eireann’s simulator training centre in Dublin. RTI facilitate Southern Railway’s train cleaning team in process mapping their performance improvement plan. Sean Northfield joins RTI as a Traction & Rolling Stock Training Consultant from Bombardier Transportation. RTI deliver Preparing to Teach in the Lifelong Learning Sector (PTLLS) (City & Guilds 7303) to Irish Rail trainers. RTI provide consultancy support to Southern Railway, process mapping their maintenance exam regime at Stewarts Lane depot for Class 442 EMU stock. South Eastern Trains select RTI to design and deliver a range of Traction & Rolling Stock courses on their Class 465 & 466 stock at Slade Green depot. London Underground invite RTI to prepare a summary report on the current status of train driver training research, in order to identify the key areas to focus on to enhance the effectiveness of LULs existing train driver programmes. RTI are successful in their three-year contract bid to provide safety training to Translink (Northern Ireland Railways). Arriva Trains Wales invite RTI's Dr Andy Russell to provide consultancy support to their train driver Human Factors/Non-Technical Skills training initiatives. RTI invited to take part in RSSB Webinar, along with University of Wuerzburg to dicuss 2Train and Introduction of Train Driver simulators & Non-Technical Skills training (Irish Rail Case Study). RTI gain approval from City & Guilds to provide the trainer qualification "7303 Preparing to Teach in the Lifelong Learning Sector"
RTI provide a bespoke Train-the-Trainer development programme for First Great Western Operational Trainers to great acclaim "I feel I have been on a very steep learning curve, while intense was very good" and "Have been waiting years for this course. Surpassed my expectations" reflects the course feedback. RTI working with Iarnrod Eireann, providing consultancy on the introduction of train driver simulators into operational training, with specific focus on the training and assessment on Non-Technical Skills (human fators). RTI commence delivery of Accident & Investigation training (including refresher courses) for FGW with the courses receiving excellent feedback from course delegates - "I really enjoyed the course and feel that I could do an investigation with confidence" and " I have a much greater understanding of what is required....and feel motivated to want to put the process into practice". RTI's final report for RSSB Project T441 (part 2) published. The report highlighted some key considerations for the design and structure of train driver training. RTI commence delivery of a comprehensive technical training programme for First Great Western on Class 158, 153, 150, 143 and 142 rolling stock. RTI were engaged by Chiltern railways to deliver technical training on Mark III coaches and DVTs to maintenance staff. 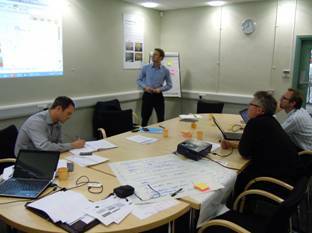 RTI facilitated a "Quality Improvement Team” looking at improving the service control process for Southern Railway”. RTI have been engaged by Bombardier to provide competency assessments for Traction & Rolling Stock staff maintaining the new Class 378 planned eventually for New Cross Gate Depot. As a result of a competitive tender, RTI have been engaged to supply a Training Needs Analysis for depot maintenance staff at a National Express depot in Norwich. RTI are invited to design and deliver MK3 coach & DVT training for Chiltern Railways. RTI are invited to provide a Training Needs Analysis and comprehensive technical development programme for new maintenance staff at First Great Western's depot in Bristol. Network Rail procures RTI to design and deliver the training for their new Intelligent Scheme Plan tool. RTI are engaged by Hitachi Europe Ltd to develop the Training Plan for the Intercity Express Programme (IEP) bid. 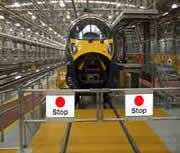 Also RTI are engaged by Hitachi Rail Maintenance to review the Competence Management System at Ashford Depot. RTI facilitate a business process re-engineering project to support improvements in dwell time management for London Underground. This project also involves a review of training and competence managementprocesses for staff involved in platform management. RTI are contracted by Network Rail to supply qualified IRSE competence assessors to help support Network Rail’s signalling competence assessment programme. processes and includes benchmarking against best practice. RTI are contracted by Metronet to supply four qualified competence assessors to help support Metronet’s Traction & Rolling stock competence assessment programme. After 11 years in central London, RTI move office to Canterbury, Kent. This move is part of the strategy to increase RTI’s competitiveness in the market. European Community (EC): RTI become part of the URaLSE project, which is led by the Latvian Public Language Service Centre. The project is looking at the issues surrounding the training of train drivers in a second language for cross-border operations. RTI deliver a core “train-the-trainer” event in Europe to a team of traction & rolling stock trainers from a leading rolling stock manufacturer. RTI and Southern Railway have established a unique and exciting partnership in the mainline rail industry for the provision of NVQs. RTI are now established as a satellite to Southern’s NVQ centre, offering Railway specific NVQs to the industry; combining the extensive experience of the two organisations in railway training and competence management. RTI has been retained by Network Rail to supply a Unit A1 and Unit V1 Standard training and certification programme that will fully support and complement the requirements of Network Rail’s Operations Manual Procedure C2 and the implementation of the Professional Signaller Competency Standard. The UK 's Rail Safety & Standards Board (RSSB) commissioned RTI to undertake a rapid survey of activity in the UK Rail industry relating to National Vocational Qualifications (NVQ). The findings will inform RSSB's work on National Occupational Standards. 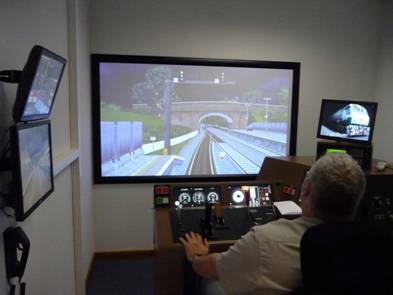 Rail Safety & Standards Board (RSSB) has extended RTI's research - examining the training implications of the use of Simulators and CBT in Driver training. With the support of Network Rail the work is to be extended to examine Simulator and CBT use in Signaller Training. RTI was awarded a research contract by the UK 's Rail Safety & Standards Board (RSSB) to examine training implications of the use of Simulators and CBT in Driver training. The work is being supported by Southern. The research focus is on the individual learner and the impact the use of simulators and CBT might have both on their ability to learn and on the assessment of that learning. The results will be used to improve the design of training and assessment schemes and the design of the simulators/CBT themselves. Rail Training International has announced the appointment of Dr. Andrew Russell as head of training. Dr. Russell joins from Network Rail where he was company training and development manager. He has 22 years’ experience in the rail industry, having started his career in station services. Previously he was head of learning and development at London Underground. Andrew has a PhD in management studies.